When I was working for PECI, I often presented at the ACEEE Summer Study Conference in Pacific Grove, California. I am placing the papers from those sessions here. Note that I am adding content over time on an as needed basis, so you may want to check back occasionally to see if there is something new. ​One of the insights I had out in the field one day was that a heating load was different from a reheat load and that even if you needed 180-200°F water temperatures to a reheat coil serving a perimeter space on a cold winter day to heat it, you probably did not need water anywhere near that hot on a hot summer day to do reheat; i.e make the air a little less cold than you had made it for dehumidification purposes or because a different zone in the system needed the air that could. That insight lead to a design that recovered heat from a condenser water system during the summer months to serve the reheat loads in a hospital. 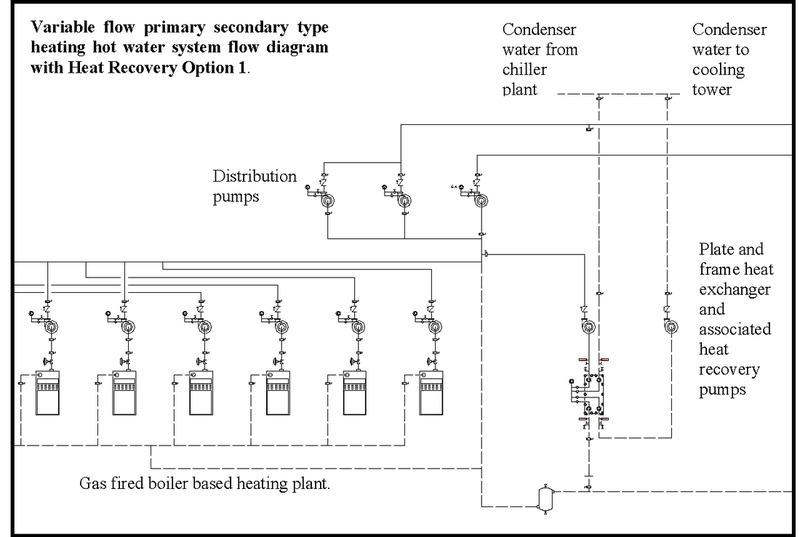 There are a number of benefits to being able to serve loads with low temperature hot water some of the time including lower parasitic losses in the piping network, leveraging the efficiency improvements associated with condensing mode in condensing boiler applications, and opening the door to energy recovery form low temperature heat sources like condenser water and solar collectors. ​Successful HVAC design and efficient operation are inescapably linked to a “successful” building envelope design. From the HVAC system standpoint, a successful envelope must resist the transfer of heat and moisture and minimize the exchange of air across its boundary. While intuitive, these goals are often relegated to second place in favor of creating an aesthetically pleasing structure or making an architectural statement. The construction industry often presumes that if no water penetrates the building envelope, then the integrity of the system is satisfactory. But, scientific analysis and practical experience demonstrate that infiltration can lead to frozen pipes, condensation, and occupant discomfort. This paper contains an overview and examples of design and construction issues that lead to envelope leakage problems. The discussion includes identification techniques used to locate and quantify the leakage, operational ramifications associated with the leakage, and solutions to mitigate the leakage using HVAC operating strategies. For two of the examples, a test was performed based on ASTM-E-779-99 (Standard Test Method for Determining Air Leakage Rate by Fan Pressurization) to quantify the leakage rate and assess its impact on building pressurization. The results of these tests and other field experiences indicate that achieving a completely airtight envelope is practically impossible. Thus, the architectural design and construction details targeted at providing an airtight envelope need to be supported by HVAC design and operating strategies that will mitigate the impact leakage that will inevitably occur. The files below are the actual ACEEE paper along with the slide presentation from ACEEE and a presentation from the National Conference on Building Commissioning that takes a closer look at the test procedure. 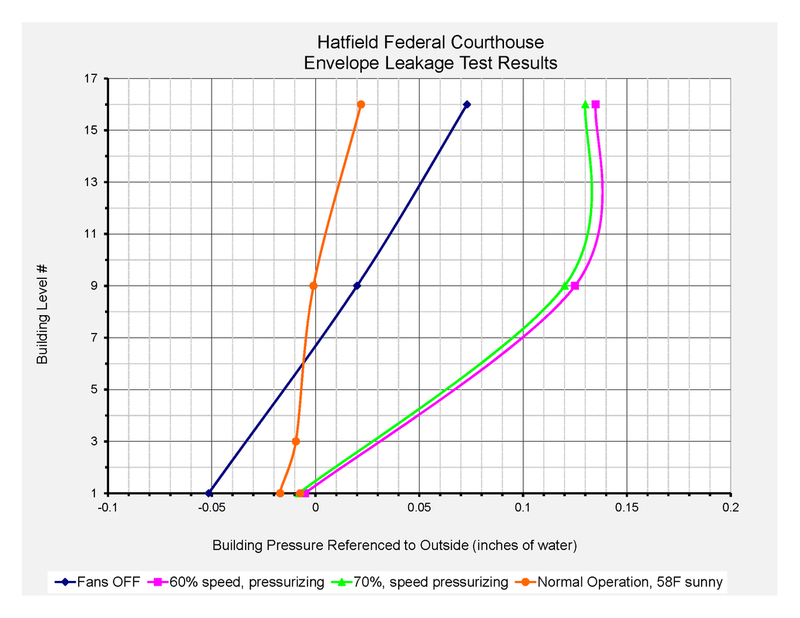 The files below are a test guidance document that was published in the Functional Testing Guide that discusses the things you should be thinking about if you want to perform a building envelope leakage test and an actual test form based on the information in the test guidance document.